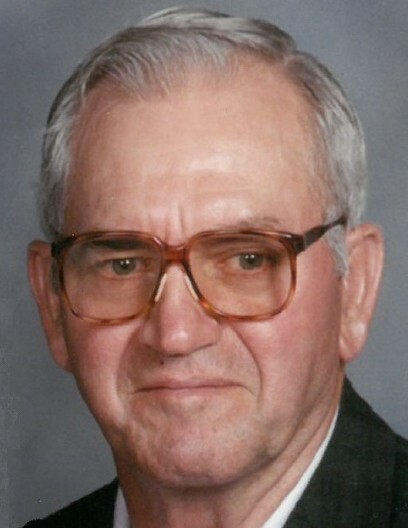 Earl Junior Stayrook, age 82, of Bellefontaine, Ohio passed away Sunday, April 14, 2019 at Logan Acres Senior Community in Bellefontaine. He was born June 13, 1936, in Monroe Township in Logan County Ohio to the late Earl Irvin and Viola Elizabeth (Pugh) Stayrook. Also preceding him in death were his siblings Sarah Maxine Aler, Elizabeth Herring, and Robert “Bob” Stayrook. On October 29, 1956, he married Evelyn Eileen Rutter at the Stoney Creek Church and she preceded him in death May 14, 2014. He is survived by his children, Mark Alan Stayrook, Lisa Marie (Karl) Kennedy, and Susan Renee Dearth all of Bellefontaine; grandchildren, Ben (Renae) Kennedy, Andy (Natasha) Kennedy, Katie (Cody Zell) Riley, Kristy (Dustin Hughes) and Kody Riley; great grandchildren, Kendra, Hailey, and Lauren Kennedy, Reed Kennedy, Lucy Flood, Troy Hughes, Cody Zell, Piper Zell, and Willow Zell; a step great grandchild, Jason Wilson; step great-great grandchildren, Zayden and Xavier; siblings, Christine (Tom) Spain, Dorlean Guthrie, Betty Hennessy, Shirley Ritter, Sharyl Jackson and Phyllis (Kay) Hunt; a sister-in-law, Ruth Stayrook; a brother-in-law, Robert Herring and numerous nieces and nephews. Junior worked for Craig’s Elevator and then for Bellefontaine City Schools in the Maintenance Department. He was a member of the Bellefontaine Church of the Brethren. He was a big fan of Bellefontaine Chieftain athletics as well as a Cincinnati Reds fan. He raised beagle dogs for a number of years, always had a big garden, and loved to mow his yard. Pastor Mike Roberts will officiate a 1:00 P.M. service Thursday, April 18, 2019 at the Church on Detroit Street (formerly Church of the Brethren) in Bellefontaine where friends may call from 11:00 A.M. to 1:00 P.M. prior to the service. Burial will be at the the Highland Memorial Cemetery in West Liberty, Ohio.